It’s all in the family for the Himmelbergs, with draftee Elliott joining the Crows after Adelaide narrowly missed out on his older brother Harrison at last year’s meet. 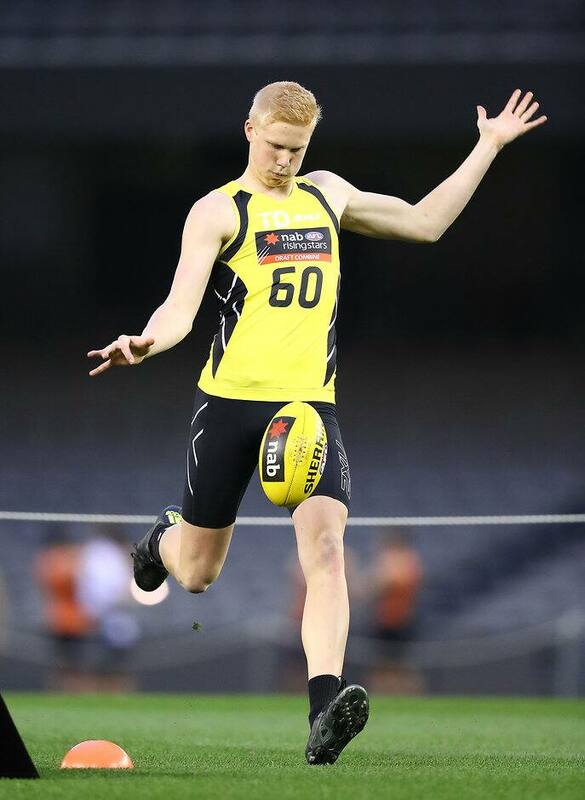 Greater Western Sydney outbid the Crows for Giants’ academy member Harrison in 2015, but the Club managed to secure Elliott with pick No.51 in the 2016 AFL National Draft. It was a decision that delighted the entire Himmelberg clan. “(My family) were happy it was Adelaide (that drafted) me because they’ve heard it’s a pretty good club from many sources,” he said. And with Harrison having already spent a year in the AFL system, Elliott was privy to some pearls of wisdom from his older brother. “It’s helped a bit talking (to Harrison) through this year because he only did everything I did last year,” he said. After missing the second half of the season through injury, once again it was the support of those closest to the 18-year-old, which helped him battle through adversity. “I had a stress fracture in my leg in the middle of the year at the start of the Division One (Under-18 National Championships),” Himmelberg reflected. Despite the injury preventing him from testing at the Draft Combine, the 196cm key-position prospect impressed playing for Queensland, and the Allies this year, averaging 16 disposals. With the ability to play at both ends of the ground, Himmelberg embodies the versatility required of the modern AFL footballer, impressing Crows National Recruiting Manager Hamish Ogilvie. “He's missed a bit of footy this year, but we really liked his start to the season,” Ogilvie said.